The Ubbi bin has won a bunch of awards because it does the job at hand stylishly and efficiently. The rubber-rimmed and airtight steel design is not porous like plastic bins, meaning it locks in odours. A slow-close lid and child safety lock prevents little people from accidental injuries. 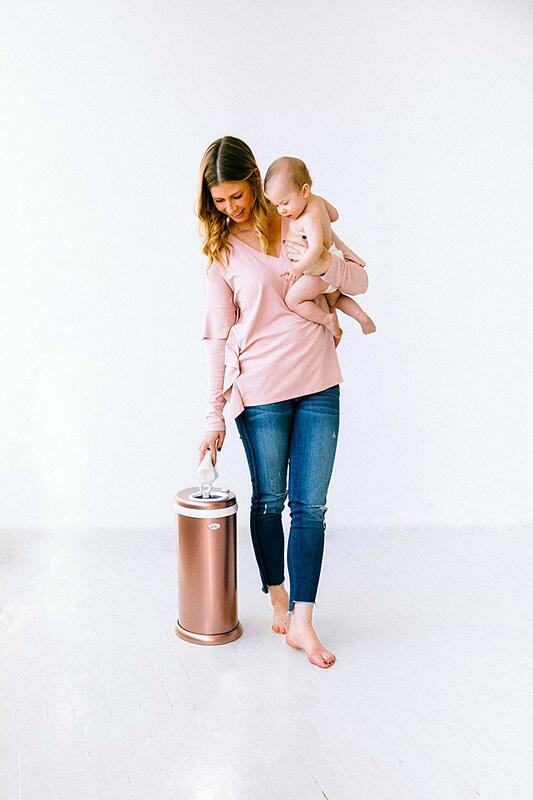 The Ubbi bin holds 55 newborn nappies or 20 of the largest size pull-ups. You can use regular tall kitchen bin bags with the Ubbi bin. 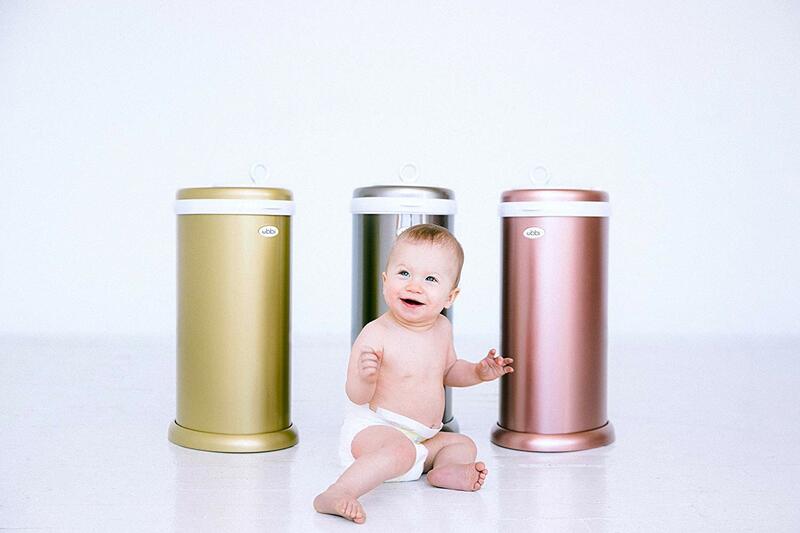 This oval-shaped bin comes in a whopping sixteen different colours. That’s something to suit every nursery decor. 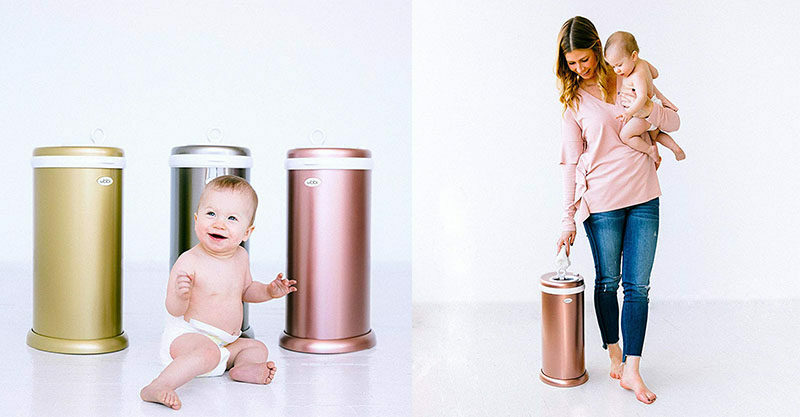 The Ubbi Diaper Pail – or nappy bin, as we like to say in Australia – is currently selling for $110 on Amazon.